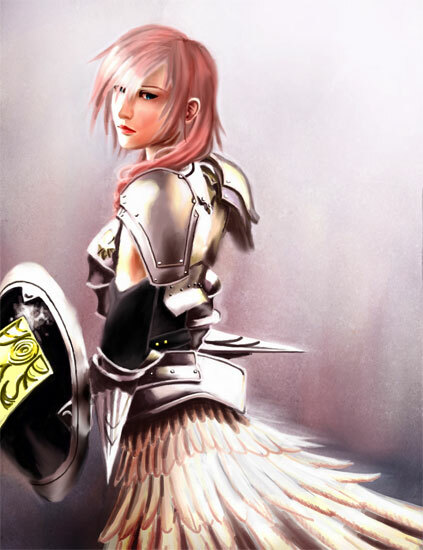 Lightning in her Final Fantasy XIII-2 Design! We have a big art project about the Final Fantasy protagonists ongoing, with the purpose to make it something as big as Link’s Blacklist next year, but Lightning was not yet a part of it somehow! While we have a few great fan arts about her in the Final Fantasy XIII design already, i wanted to feature one which shows her in the newer FFXIII-2 design and thought this one by Whitestar1802, who is a GA-HQ contributor btw. and participated in Link’s Blacklist multiple times already. This was actually his first work with a tablet, and for that it looks damn amazing! 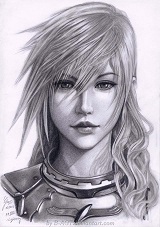 Check out these other Final Fantasy articles on Game-Art-HQ!